Becoming Steve Jobs: Why Apple insiders are pushing this book over Walter Isaacson’s biography. Why Apple insiders are so worked up over two admiring Steve Jobs biographies. Photo illustration by Juliana Jiménez Jaramillo. Photo by Justin Sullivan/Getty Images. Someday, someone will write the definitive book about how Steve Jobs led Apple out of the wilderness, saving a near-dead company that ultimately became one of the world’s most valuable and beloved enterprises. It will combine a genuine understanding of technology with a full, nuanced, and unblinkered view of Jobs, the company, and its products, all placed in the context of our emerging digital age. Becoming Steve Jobs, the new book by Brent Schlender and Rick Tetzeli, isn’t it. Why were the insiders so unhappy about Isaacson’s book? After all, Jobs gave the author exclusive access to his innermost thoughts and memories for what he wanted to be his biography of record. But Isaacson, the critics say, dwelled far too much on the aspects of Jobs that were jerkish or worse, and too little on his accomplishments. From their perspective, perhaps, this makes sense. These critics are, in my view, senior members of something close to a near-cult, albeit a highly productive and transformative one. By definition, they’re blinkered. Isaacson’s book was indeed flawed, not least because it seems clear to me that he had a limited understanding of the technology he was writing about—but it doesn’t deserve anything close to the contempt Jobs’ powerful defenders are pouring on it. “My regard couldn’t be any lower” for the book, Apple design chief Jony Ive told the New Yorker. Isaacson, too, was inevitably blinkered in his own way, as the recipient of a gift from Jobs—the exclusive interviews—worth millions of dollars and repeated exposure to Jobs’ famous reality-distortion field. Perhaps Isaacson did spend too much time on Jobs’ frequent boorishness. 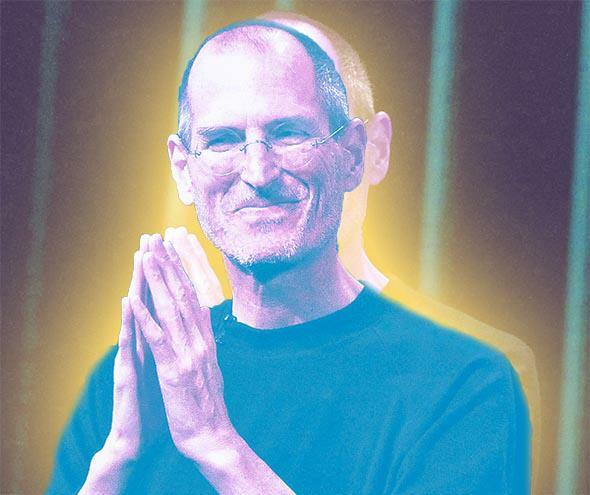 But neither he nor Schlender and Tetzeli give sufficient weight to the ways that Jobs’ personality infected Apple, and ultimately our culture, in some less-praiseworthy ways. Here’s some reality: Yes, Apple has made some of the finest, most pathbreaking products of our times, in part due to Jobs’ perfectionism and strategic brilliance. And in the end, Jobs was undoubtedly a man who cared deeply about and for his family and close colleagues. He had all kinds of positive and admirable qualities. No one disputes that. But the consequences of his less-admirable conduct go way beyond the well-known nastiness to his employees and colleagues. Under Jobs, from his return to Apple in 1996 until he stepped down as CEO shortly before he died, the company was transformed in some profoundly negative ways, too. As I wrote recently on Medium, that’s the reason I no longer rely on anything Apple makes even though I was once an avid user, because I don’t want to support a company that has become so control-freakish with its customers and “partners,” so paranoid in its secrecy (and so hostile to journalism it can’t control)—and leads the vanguard of an industry movement to turn open computing systems into closed ones. Under Jobs, Apple was part of a tech-industry conspiracy against employees in which companies agreed not to recruit from each other. Jobs wasn’t just a participant in this. He was a ringleader, and the emails uncovered in the case—which ultimately let the industry off cheap—reveal a master manipulator and bully at work. As TechDirt’s Mike Masnick observes, for example, Jobs “used patents like a mob boss,” suggesting to the CEO of a small competitor that he’d face patent lawsuits if he didn’t comply with the no-poaching scheme. Under Jobs, Apple systematically took more control over its ecosystem, particularly in mobile computing. The “app economy” that Apple sparked is antithetical to the open nature of the World Wide Web. You want to install software on an Apple mobile device? Sure, if Apple lets you—because software developers, even ones who want to give away what they do, have to get Apple’s permission to be part of the only approved method of delivering the code. The company’s app police have administered that system in murky and arrogant ways, barring content Apple executives don’t approve of and apps that compete with the mother ship. Under Jobs, Apple played fast and loose with securities laws; Jobs skated while two loyal executives were thrown under the bus. It also became an epic tax dodger. The company was and is far from alone in these activities, the latter of which is nearly pure civic irresponsibility, but its cynicism has been as vast as its cash hoard is huge. Under Jobs, Apple didn’t just play the press. It was outright contemptuous of journalism and the journalistic process. The company went after internal leakers a decade ago by abusing trade-secret laws in an attempt to muzzle journalism by Web-based recipients of the leaks, though the courts ultimately defended journalism. (Disclosure: I helped one of the websites fight Apple’s legal assault.) Apple later sicced law enforcement on a tech blog that got ahold of an upcoming iPhone, in a case that went beyond mere bullying. Under Tim Cook, Jobs’ successor as CEO, Apple is slightly less secretive but is still highly manipulative of the press. The Schlender–Tetzeli book confines a selection of Jobs’ more egregious actions to a single chapter titled “Blind Spots, Grudges, and Sharp Elbows.” The authors tell us early in the chapter that their goal is to “look at the specific ways in which Steve failed to do an effective job of tempering some of his weaknesses and antisocial traits …” Weaknesses. Right. As a company, Apple is stronger than ever. There’s no doubt in my mind that it could become the most valuable publicly held enterprise in history by a significant margin. At some point, the cult of Apple, and of Jobs, will need to acknowledge something: Apple is no longer the underdog. It won. It is dominant. And that means it’s time to look much more skeptically at the victor—to remove the blinkers. I don’t expect the Apple insiders to do this—they won’t even settle for Isaacson’s mostly hagiographic book—but over time, I hope the cult’s followers will open their minds a bit wider. The Steve Jobs book I want to read would certainly recognize and celebrate his accomplishments, which were truly astonishing, and the ways he was a genuinely great man. But it would place them, and his life, in the larger context of how he operated, and how his company continues to operate. The threads of this story are not separate. They are intertwined.